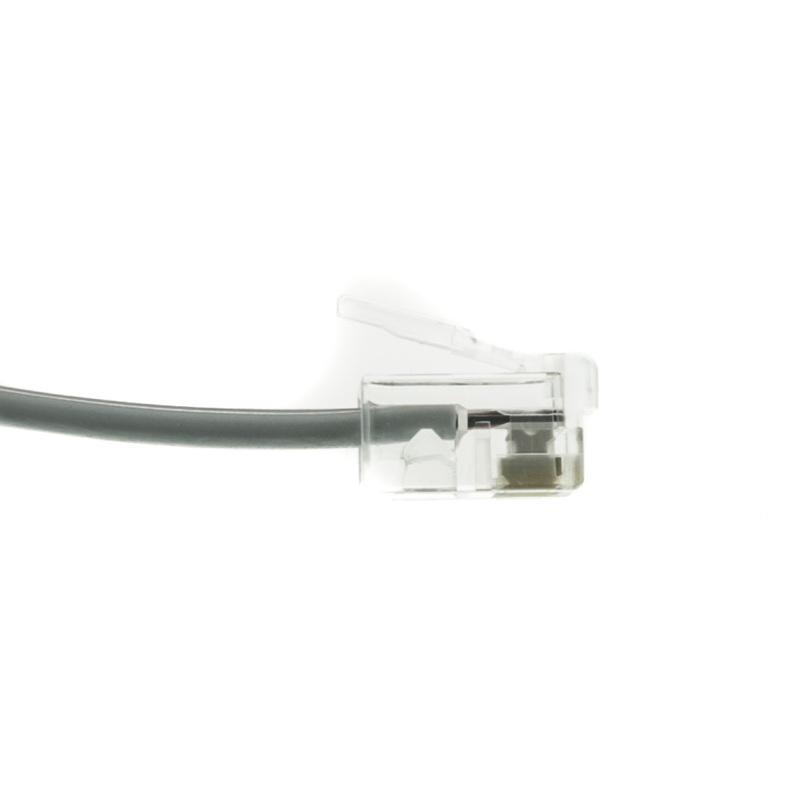 This 25 foot Silver Satin RJ11 Telephone cable is used to connect your phone to your wall. 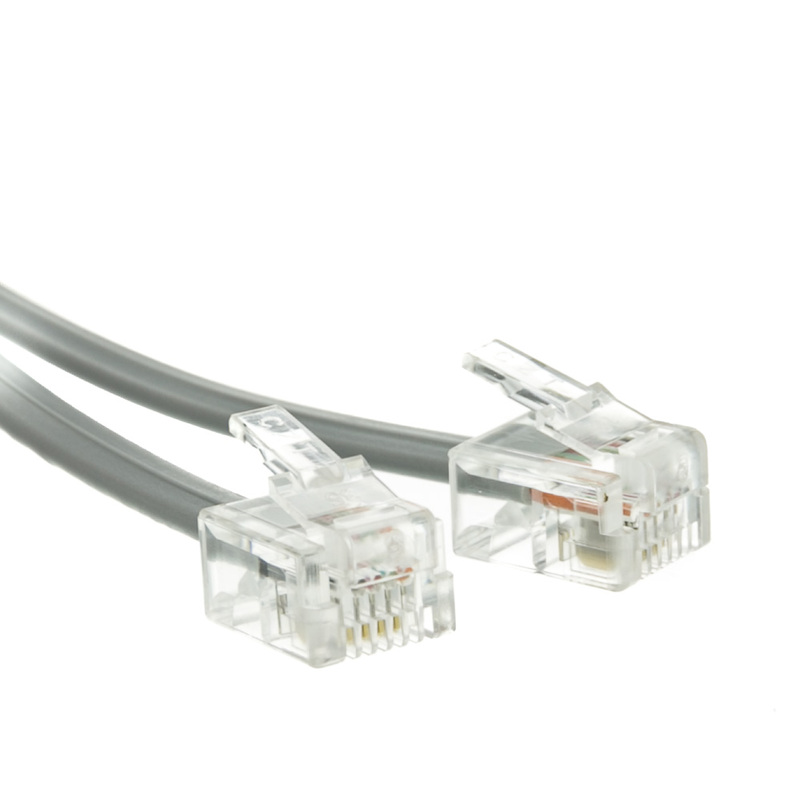 It is the flat variety and has 6 pins on the RJ11 plugs and features 4 conductors. 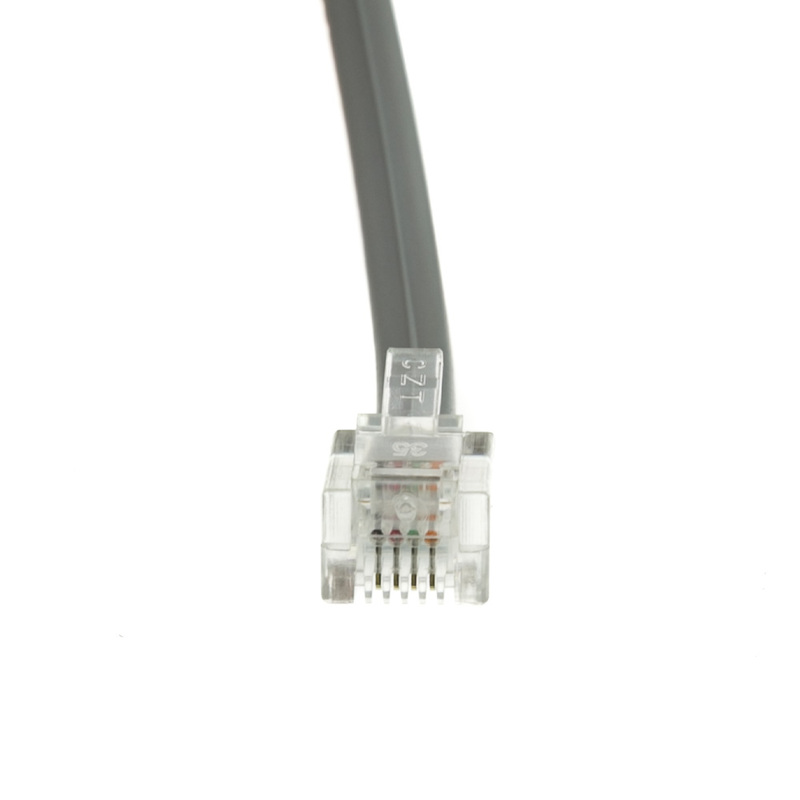 The cable is reversed for voice applications. Great if you need a long cord, good price.